Tired of hearing how bad your organic rankings are and how “Company X” has the Secret Sauce? Yeah, so are we! 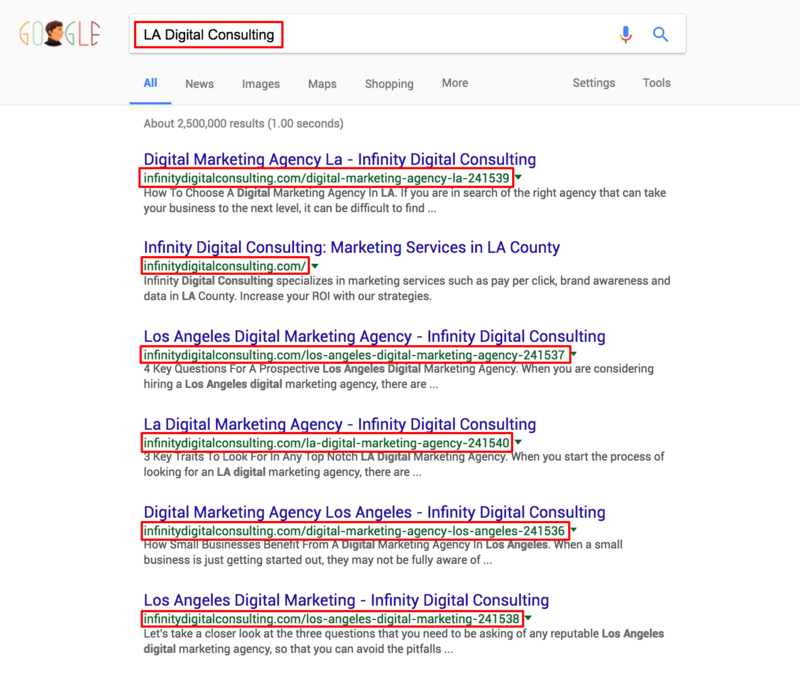 So instead of us telling you just Google us “LA Digital Consulting & Marketing” depending on where you are located we either own the top 4,5,6 or 7 spots. Need I say more? What to expect from Next Gen SEO? We use our programs & researchers to determine the best course of action for each different case. Every industry in every area needs relevant SEO to searchers. So we will meet with you to find out what is important to you and what makes your cash register sing. We take that info and plug in into our keyword analysis program. After that, we determine the keywords and keyword phrases you wish to achieve. Then we send you a ranking report of exactly where you currently stand on search engines such as Google, Yahoo, and Bing. We implement all of our SEO strategies and techniques. We also meet with you monthly with the same report so you can easily and tangibly track your progress and your ROI! Considering that almost no one clicks on paid ads anymore, organic rankings have never been more important and never been as valuable to your business.